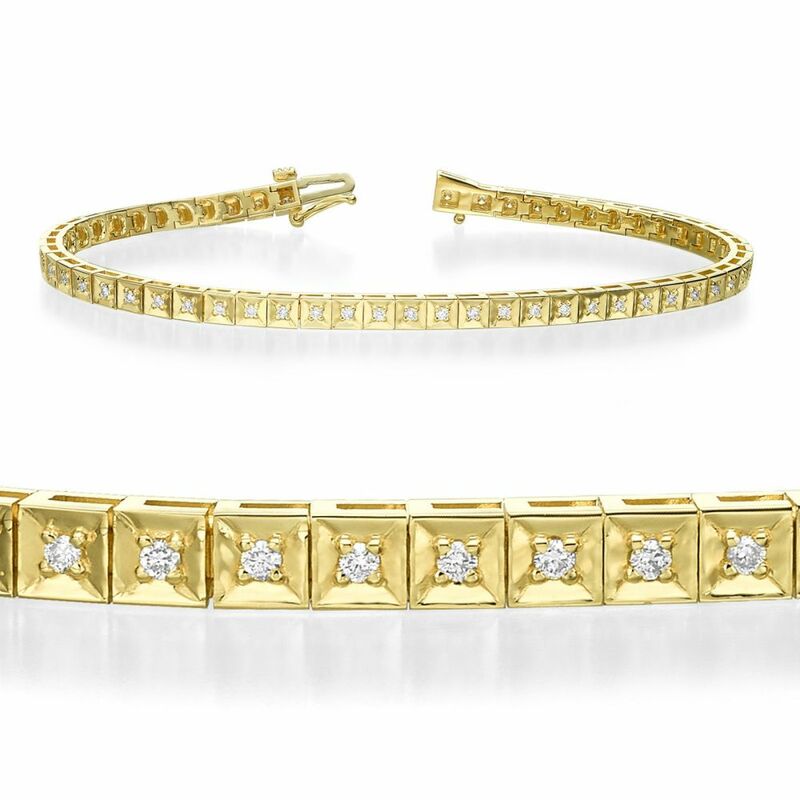 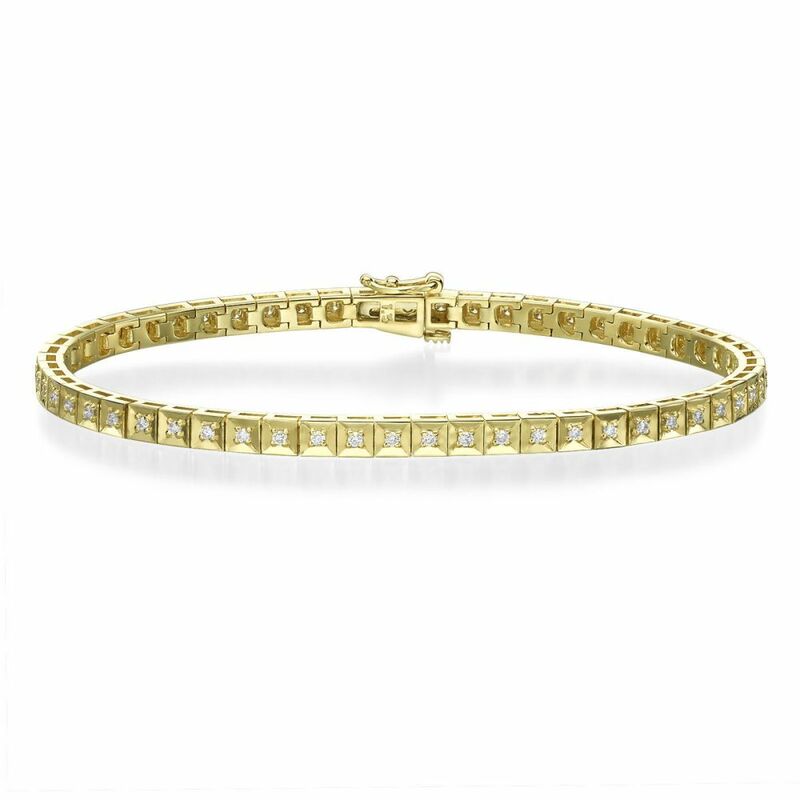 Tennis bracelet set with 56 round brilliant diamonds showcased in a square-shaped settings. 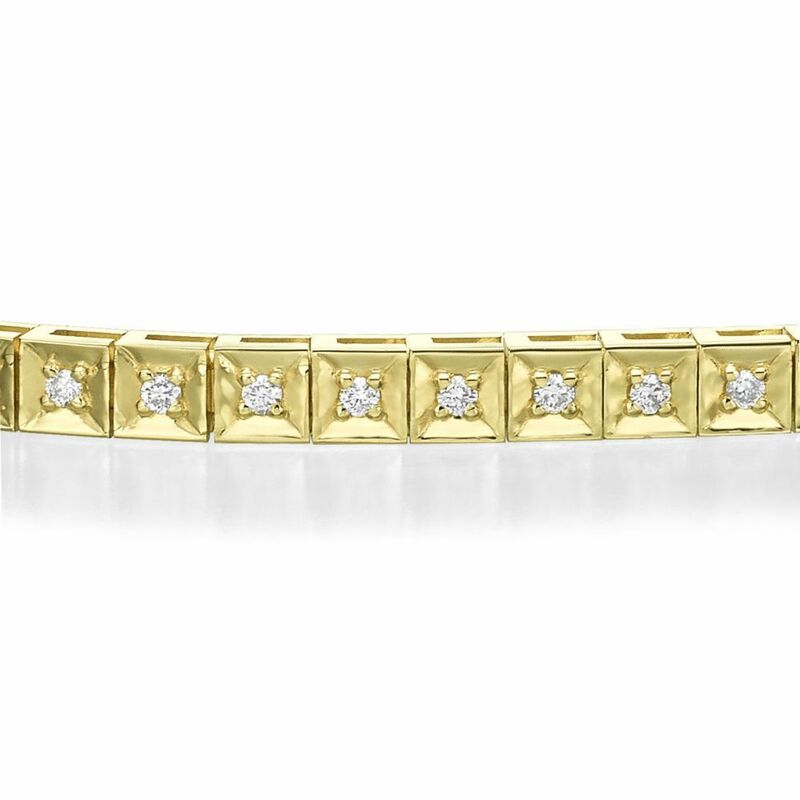 A smooth finish provides a beautiful frame around each diamond. 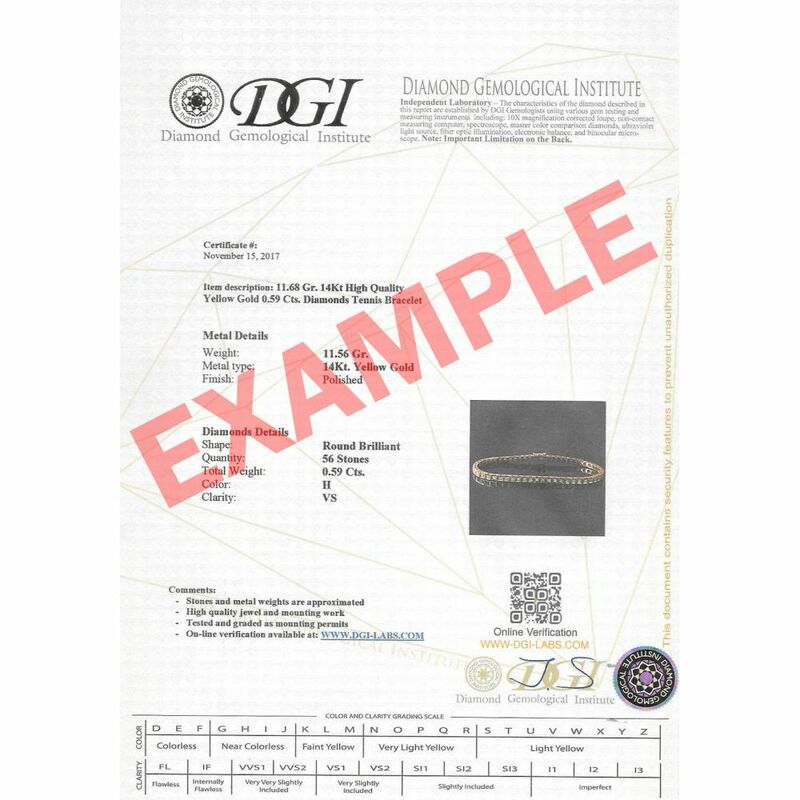 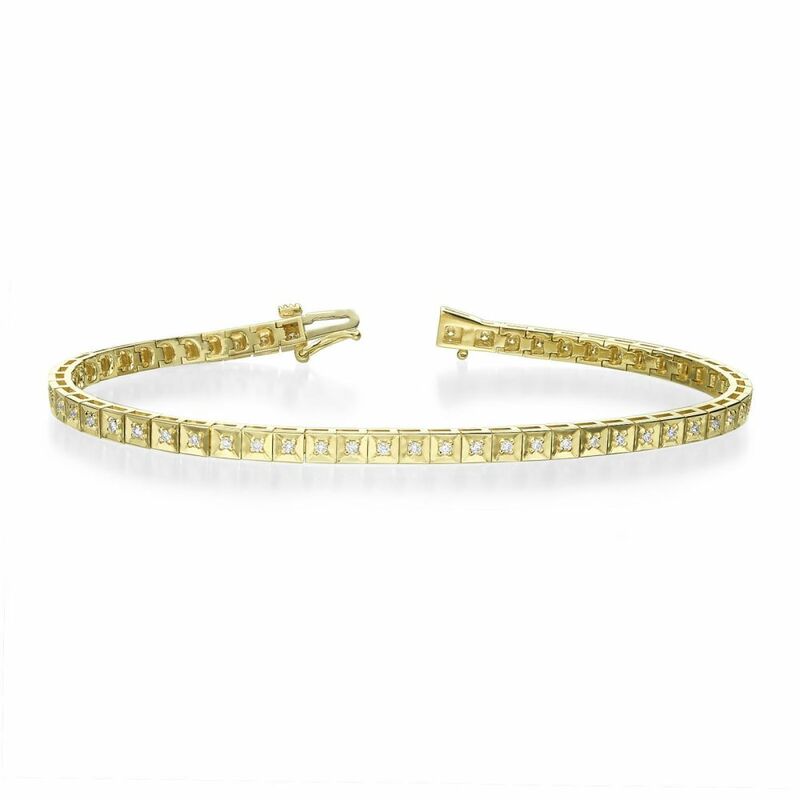 Fashioned in 14K yellow gold, the bracelet is secured with a tongue clasp.